Do you have a child with gender identity difference? Have you ever wondered where these differences come from? 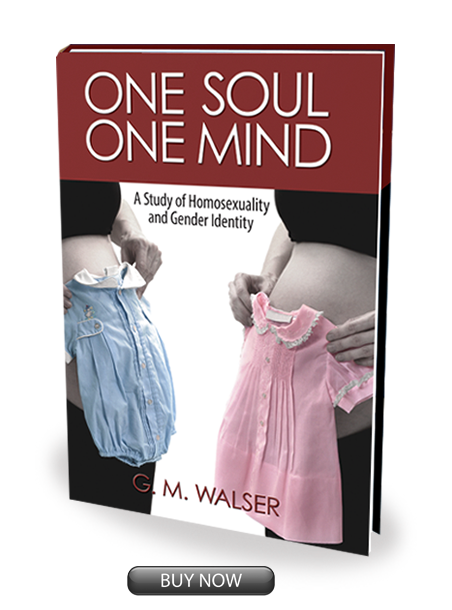 One Soul/One Mind explores gender identity and sexuality—the why of it, the when of it, and how it happens—through the eyes of a mother seeking answers. Aided by scientific research and spiritual inspiration, Walser examines her own life and choices as well as the experiences of other mothers to develop a holistic theory of how her daughter came to be the person she is. Now, Walser hopes to use her discoveries to lead families in similar circumstances along their own road to understanding.